Storyline : Ike LaRue, a wire fox terrier dog, was enrolled to Brotweiller Obedience School. His Master, Mrs. Gertrude LaRue, was hoping to fix some behavioral problems like chasing the neighbors’ cats, stealing food, pulling on leash, and so on. But the dog feels that he has been wrongfully punished and does everything in his power – from complaining he is being abused to running away – to convince Mrs. LaRue to take him back home. The second day after entering the Obedience School, the place is seen by Ike like a prison, although it has some very nice accommodation for its residents. He starts writing letters to Mrs. LaRue. 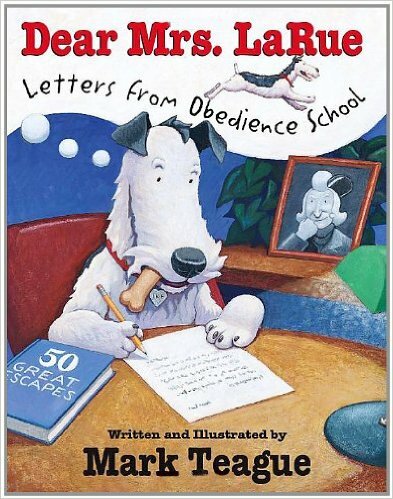 On these letters he tries to justify his wrong doings: that he should have been told not to eat the pie, or that the neighbour’s cats are nowhere near “little angels” as they are called, or that he pulled on the leash when they were crossing the street to prevent his master being hit by a car. But Mrs. LaRue is not impressed and when, after a series of melodramatic letters, she won’t come to take him home, he changes the tactics. First, he pretends to be sick. But Mrs. LaRue just sends him a get-well card. Finally, he decides to run away. He continues to send letters to her, telling her how horribly is he suffering being alone in desolated places with no food to eat, even though he leaves the school in a taxi and eats at restaurants. In his last letter he tells her he is coming back home, because, as he says to Mrs. LaRue, “you need a dog”. And as the city’s Gazette records the next day, Ike returns to the Obedience Academy just in time to save his owner from being hit by a truck. He is proclaimed a hero. Characters: Ike LaRue, Gertrude LaRue, Mrs. Hibbins’ cats, Miss Klondike, the guards. Illustration: Mark Teague is also the illustrator of this book. The drawings are realistic, solid and lovely. Beyond that, Mark Teague does a wonderful job putting feelings on his drawings: you can see the character’s feelings through their face expression, or body language. More, the whole illustration concept is a bit different: as Ike writes the letters to his owner, we can see the difference between the real settings where he lives and what he describes in his writings. Overall, a wonderful book.